Who doesn’t love the endless days of summer? Road trips, beach days, lazy nights by the campfire…and Math worksheets? For most teens, Math and summer just don’t mix. But studies show teenagers lose as much as three months of Math learning over the summer – setting them back at the same crucial moment when they should be preparing for the SAT or ACT and challenging upper-level Math courses. The summer slide is even more pronounced in Math than it is in Reading. Even the tepid reader will find a few page-turning novels to enjoy at the beach, but many students go the whole summer without a fraction or decimal in sight. Let’s take back the summer slump by focusing on a few simple tricks to reinforce Math skills without dampening the summer fun. 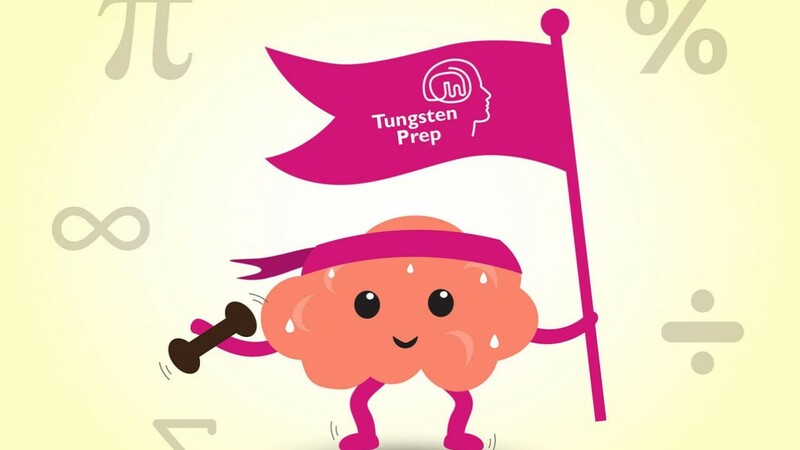 Evans Mullan, a longtime middle and high school Math teacher and one of Tungsten Prep’s star tutors, offers his tips for sharpening Math skills and getting ahead this summer. Why are math skills lost over the summer? People assume Math is an innate gift, but it’s really not. Think of it like a muscle that needs to be exercised. If your brain sits on the couch for three months over the summer – metaphorically speaking – then your Math muscles are going to be really weak come September. Generally speaking, students loose procedures more than concepts over the summer – they may understand the basics of percentages or logarithms, but they have forgotten the specific, intermediate steps it takes to find a solution. That’s why sustained practice is so important. But what kind of Math should I do over the summer? I don’t know what my curriculum will be next year. Focus on the basics – what we Math teachers call “Mental Math.” This is the practical math of everyday life: addition, subtraction, multiplication, division, fractions, decimals and percentages. A student who relies too heavily upon a calculator will almost always struggle on the SAT or ACT or in Calculus. Mental Math takes the grunt work out of algebra, helps students see connections and work more efficiently. Plus, it builds confidence. What a relief it is to calculate a tip, split a dinner bill or estimate a sales price without a calculator! There are actually some really fun resources to build Mental Math. I’m a realist, so I try to find resources that are entertaining, feel more game-like and can be played on a phone. Plus, keeping the time commitment modest is essential—it’s better to do a few minutes every day than expect students to sit indoors laboring over worksheets. Check out mathtrainer.org. They offer an app you can play on your phone – you move through 100 levels and compete against other players for time. Five minutes per day can really help, and it’s actually a realistic goal for teens. For students who want more structure and content, I highly recommend Khan Academy. There are hundreds of very good Math videos on You Tube, but students can get really lost searching for precisely what they need. The advantage of Khan Academy is that you can set up an account, track your progress and set goals. That approach just gives summer learning more focus. Plus, Sal Khan is just a wonderful teacher and the video tutorials are light-hearted, short, and can be repeated for maximum understanding. What about the SAT and ACT? Should I try to study over the summer? Yes! Focusing on SAT or ACT Math is a great way to practice a wide variety of foundational skills – from arithmetic to algebra to geometry and trigonometry. Think of it this way: the SAT and ACT only have about an hour to test you on your entire Math career, so each question has to be efficient – either by testing two or three concepts simultaneously, or by requiring a student to think about familiar concepts in a new way. Studying for any standardized test – whether it’s the SAT, ACT, SSAT or PSAT – is a really productive way to reinforce a wide range of skills and concepts while getting test prep out of the way before the school year shifts into high gear. Many families read at home, but few practice Math outside the classroom. How can parents and students incorporate Math skills and Mental Math into their everyday lives? It pains me when students say that Math feels irrelevant. I’m sympathetic – sometimes Math instruction can be so disconnected from everyday life – but in truth, Math is everywhere. Allow students to help with grocery budgets, talk to them about the deductions from their paycheck in their summer job, or play card games and incorporate statistics. Sports can be a great entry point for teens who think they’re allergic to Math – talk about batting averages or racing splits. Or encourage them to help plan the family vacation – from budgeting to calculating how long it will take to travel or fly a certain distance. Showing students how very practical Math skills can be will reinforce the importance of analytical thinking.